What’s the difference between Nazi and Zionist war criminals? Short answer: Great effort is made to hunt down and prosecute suspected Nazi war criminals, no effort is made to bring Zionist war criminals to justice. 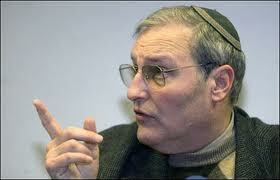 Cacciottolo’s 13 January story was based on the latest report by the Simon Wiesenthal Center (SWC). According to it, the number of ongoing investigations into Nazi war criminals increased last year. From April 2009 to March 2010 there were 852 investigations being conducted worldwide, compared with 706 during the same period in 2008/09. The period 2009/10 was the second consecutive year that the number of investigations into suspected Nazis has risen – there were 608 in 2007/08. Efraim Zuroff, the head of the SWC’s Jerusalem branch, was quoted as saying there were two reasons for the rise in the number of prosecutions. “It’s clear that we’re reaching the end of the period in which this work will be possible. (Because all suspects will be dead). This has motivated countries with the political will to make an effort to prosecute former Nazis… The other reason is that Germany in particular has changed its prosecution policy, to allow more suspects – particularly those who were not officer class and those of non-German origin – to be prosecuted.” The increase in the number of German prosecutions was the most dramatic, up from 27 in 2008/09 to 177 in 2009/10. And that was why the SWC awarded Germany an A-grade for its efforts to prosecute ex-Nazis. Previously only the United States had been given the SWC’s top marks. The SWC report also gave nine countries failing grades for their investigative efforts -Norway, Sweden, Syria, Australia, Canada, Estonia, Hungary, Lithuania, and Ukraine. (I am surprised about Canada being on the list because its government has a well deserved reputation for doing Zionism’s bidding). If there was an institution working to bring Zionist war criminals to justice, it would have to award failing grades to every country on Planet Earth. As Efraim Zuroff said, it is a matter of political will, but President Obama’s burial of the Goldstone Report is surely proof that it does not exist for calling and holding Israel’s leaders (some of them) to account for their crimes. At the time of writing we are waiting to see if Britain’s coalition government will introduce legislation to prevent Israeli leaders being prosecuted. It is under pressure from Zionism to do so. You are right, Alan. I see no chance of prosecution of Zionist criminals. The continuing efforts to find decrepit exNazis is as pathetic as the fuss about "terrorists" in the US, while real, genuine catastrophes, manmade or natural, are lost in the mists of delusion. the US and its allies will block every move to bring Israeli war criminals to justice. When the US Israel and their stooges will be defeated the war criminals will be hunt...only the defeated war criminals are hunt, arrested and prosecuted. What I've found inexplicable for years is why Zionists didn't object, have never objected, to the US's Operation Paperclip, in which some 1200 Nazi German scientists were secreted illicitly into the US to work on US military biological, gas and nuclear development programs! If Zionists were true to their word and ideology, the US would be their enemy N°1. What can possibly explain, then, the Zionists' focus on aging, low-level Nazis? Is it purely by way of financial gain, ie, extortion? Some 67 years after the fact, a group of Israeli Zionists filed a criminal case against the modern Hungarian state train system, claiming that, since the existing rails had been used to transport Hungarian Jews to concentration camps, Hungary owed the claimants compensation, compensation which would have bankrupted the Hungarian railways! Why do Zionists continue to go after small fry when their real anger should be focused on the US and its documented support of Nazi scientists who designed the most horrific experiments on prisoners? Gitmo, black prisons, anyone? Zionists' actions are replete with hypocrisy and opportunism. An appropriate posting. The Zionists have been around for decades more than the German Nazi movement and functioning with at least equal if not more calculated callousness and cruelty as it's hallmark. The Zionist War Criminals face an equally unforgetting force who will get them locked away. The Zionists may be able to suppress the truth for a time but they can never eradicate it. u said it perfectly well. !